First year sales exceeded $500,000. Dave Dreiling and Dave Barnes expanded their sales region to include college campuses from Ohio to Southern California. 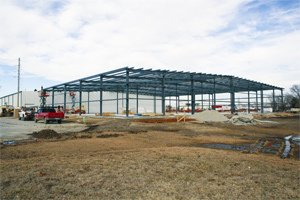 Dave Dreiling converted his garage to their first Manhattan, Kansas warehouse. They secured a $30,000 SBA line of credit, and sales hit $1M. The owners decided to consolidate all of their operations in Manhattan and rented 6,000 square feet of office and warehouse space. They bought their very first embroidery machine which was considered a novelty at the time. Dreiling began to buy out Barnes' stock. Sales ballooned to $1.8 million. Dave Dreiling was named "Young Entrepreneur of the Year" by the Small Business Administration for the state of Kansas and Missouri. 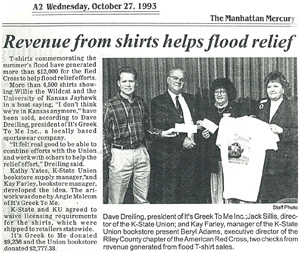 The company expanded their product offerings to high school teams in Kansas, thus the eventual name change to "GTM Sportswear Inc."
The "Great Flood of '93" spawned the idea of a unique tee that featured "Willie" (the KSU mascot) and the "Jayhawk" (from some other school) floating together in a life raft. Profits from the sales garnered a $160,000 donation to the Red Cross for flood relief. 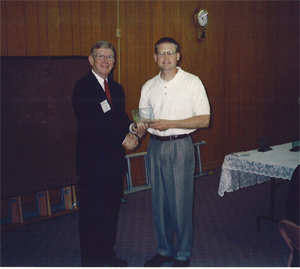 INC Magazine named Dave Dreiling (CEO) as a finalist for the Kansas/Western Missouri "Entrepreneur of the Year" award. The company's sales exceeded $4 million. To celebrate achieving a "4.0", the whole company which consisted of 56 people (including team members and families) celebrated the 4th of July at a resort on Lake of the Ozarks. 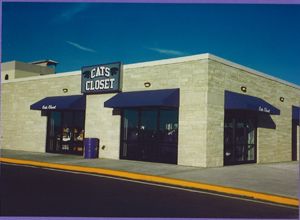 The company joined forces with K-State Athletics and expanded their retail presence via the "Cats Closet" located at the football stadium and other venues. GTM moved into a new 32,000 square foot facility on McCall Road. 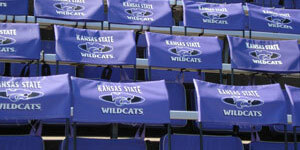 The company developed a semi-permanent cushion seat for K-State Athletics. They then further developed the idea and patented it. The website went live for the first time, giving customers the opportunity to view GTM products all over the world. 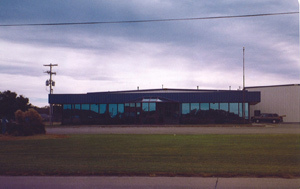 The building was expanded another 5,000 square feet as its high school division continued to grow 30-40 percent annually. As a response to 9/11, they launched a "flag tee" project and marketed it to every school in the U.S., resulting in a donation of over $175,000 for the victims and families. Stasyx custom programming was implemented, giving us the opportunity to automate warehouse inventory, streamline production, and provide outstanding customer relationship management. GTM decided to merge its various sales divisions together into "“GTM Custom" in order to focus more on the high school teams and related markets. They expanded once again, adding an additional 7,000 square feet to the building. Sales exceeded $11M, and we were out of room again! 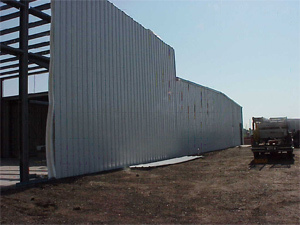 Dave thought "Another 7,000 square foot expansion should take care of us for awhile, right?" GTM also continued to expand into many new sport markets, offering GTM branded products. The implementation process of "Imagine" began. Imagine was a software system that allowed GTM to automate the ordering processes and provided better communication flow and less order defects. GTM continued to grow, this included more products, more team members, and another building expansion. GTM went live with their proprietary software system "Imagine". The team member count topped 400 people and sales grew to $34 million. GTM introduced sequins and flexi print to expand its production capabilities. Flexi print is a revolutionary new print process which allows the design to flex and move with the jersey fabric. GTM invested in direct-to-garment screenprinting machines giving the company the opportunity to offer no minimums on custom imprinting. 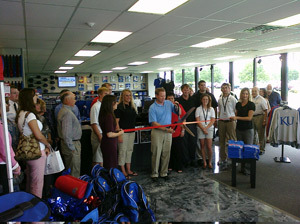 Team member totals exceeded 500 and sales grew to over $43 million. After a year of consultations and planning, GTM Sportswear launched a redesigned website in April of 2009. The goal of the design was to tie in the new logo and branding efforts. GTM put focus on unique selling points: free shipping and logo set up on orders over $200, affordable pricing, quick delivery, excellent customer service and the ability to cut out the middleman. GTM further expanded its customization capabilities with the addition of rhinestones and distressed appliqué. Offered in several sizes, rhinestones quickly became a popular way to add glam to GTM tops, especially for cheer, dance and gymnastics customers. Investment in a Laser Bridge made GTM a leader in creative use of appliqué designs. This top of the line machine allows fabric appliqué edges to remain raw, creating a frayed look with vintage appeal. GTM developed and implemented a sourcing strategy in Central America to supplement sourcing in Southeast Asia. GTM launched a fully redeveloped website with an unmatched customization tool that allowed customers to embellish items and see their final product prior to making a purchase. GTM became one of the first companies in the industry to offer custom sublimated apparel, trademarked as "UltraFuse." The new product line offered unmatched comfort and durability, along with unlimited color selection. GTM continued to expand its wide selection of embellishment options and introduced SequinDOTS, a new heat transfer sequin embellishment process. Having outgrown their proprietary software "Imagine," GTM implemented a new ERP platform. After dealing with the fallout from a software conversion, Dreiling stepped back in as president and CEO. Dreiling changed the vision statement to "Become a great company again." Several long time GTM'ers were promoted into leadership team positions. The new team worked tirelessly to streamline and fine-tune all the software systems to successfully deliver over 1,000 customized orders every day. GTM was acquired by Hanesbrand Inc., the world's largest marketer of basic apparel. 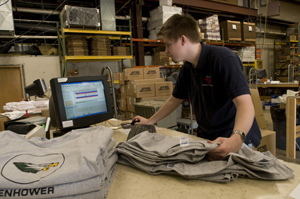 The acquisition expanded GTM's inventory to include Hanes and Champion brand products.